Family and friends may call at the Amos Carvelli Funeral Home, 201 Edison Street, Nutter Fort on Monday from 5:00 to 7:00 pm, where a prayer service will be held at 7:00 pm to conclude the visitation. A Mass of Christian Burial will be celebrated on Tuesday, January 29, 2019 at 10:00 am at Our Lady of Perpetual Help Catholic Church with Father Kent Durig as Celebrant. Interment will be in the Floral Hills Memorial Gardens. It is with profound sadness to announce that Karen Lee Marie Elizabeth Kriner Ingram went home to be with the Lord on January 23, 2019. Beloved wife of Michael Ingram of Mt. Clare, Karen was born on Christmas Day 1955 in Washington, DC., a daughter of the late Richard W. Kriner and Beverley J. Ramsey Kriner who survives in Clarksburg. She was raised in Maryland until relocating to West Virginia in 1994. In addition to her mother and husband, Karen is survived by three brothers, Michael Kriner and his wife Lisa of Dunkirk, MD, James Kriner of Clarksburg, and Vincent Kriner of Mt. Clare, who was born with cerebral palsy and she cared for most of his life; three sisters, Janis Vosh of Hagerstown, MD, Marie Dockins and her husband Dan of Myrtle Beach, SC, and Teresa Harper and her husband John of Clarksburg; and several nieces, nephews, great nieces and great nephews. She was also preceded in death by her paternal grandmother, Domenica D’Ambrosia; one brother, Patrick Kriner; and her mother-in-law, Georgia B. “Skippy” Provow. Karen was a lover of folk music. She played the 12-string guitar and loved to sing. 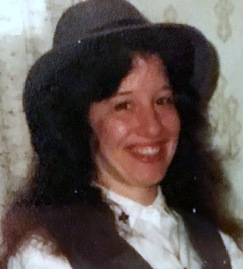 In her teen years, Karen played the folk masses at Holy Family Church in Hillcrest Heights, Maryland. She was an avid baker and collector of angels. Karen’s greatest success was being dedicated to her family where she was a caregiver to many.